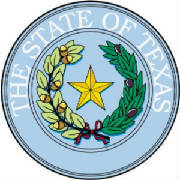 Welcome to the official website for the 506th Judicial District Court of Texas! Obtain case setting information, find procedural requirements, review court calendars, and obtain other information for both Grimes County and Waller County, the two historic counties of this district. The 506th Judicial District Court was formed by the Legislature in 2007. Judge McCaig was appointed by Governor Rick Perry in September 2007, and took office on October 16, 2007. He has served continually since that time. The menu on the left will direct you to most areas of interest concerning civil, criminal and family law matters handled by the court. After reviewing this site, if you have further questions, please contact the Court Coordinator.